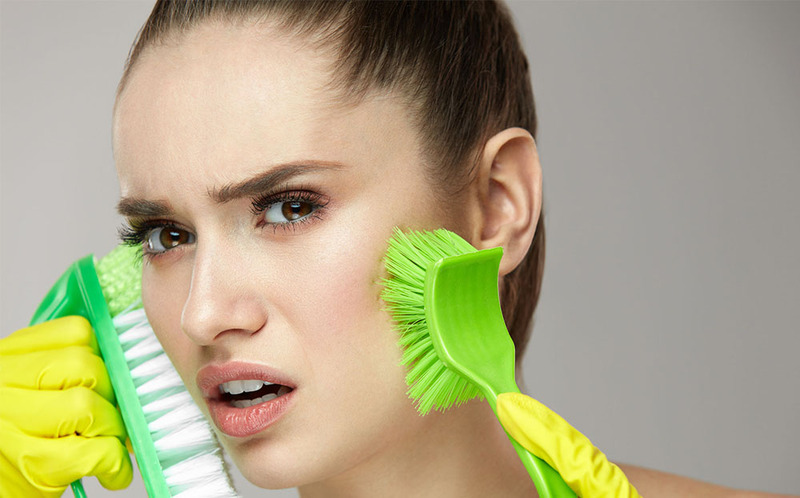 Dead Skin Cells and Trapped Sebum: Together they form pimples that can stretch out the hair follicles. Exposure to the Sun’s UV Rays: This weakens the collagen that supports the skin’s elasticity (tightness). Picking at or Squeezing a Pimple: This causes trauma to your skin and may permanently widen the pore. Wash your face twice daily with a mild soap. This is especially important after you work out, or if you’ve had a night out that required heavy makeup. It’s very important to remove oils and bacteria from your skin to prevent pores from clogging, so don’t skip this step. The baking soda helps get rid of bacteria and helps reduce the size of pores. If possible, stop using heavy oil-based skincare products. These products clog pores. When you pop or scratch acne, it can damage your skin, resulting in permanently enlarged pores. To quickly shrink your pores, apply ice packs to your skin. Use a good moisturizer that contains sunscreen twice a day, even during winter. Acupuncture, a procedure in which tiny needles are inserted into certain parts of the body, can also help by increasing blood flow to your face. This helps improve muscle tone and tightens enlarged pores and sagging skin.